We all know how important kit lists are. Without them we would never remember the Frazzles (other bacon flavour crisps are available but they’re probably not as nice), the camera would be without the tripod and the binoculars would most definitely be left in the drawer in the dining room! Luckily the Duke of Edinburgh’s Award and Ten Tors produce excellent kit lists to help our youngsters get it right. What’s missing in my opinion is a leaders kit list. This would include items such as duct tape, spare tent pegs, hayfever tablets and of course the flag! 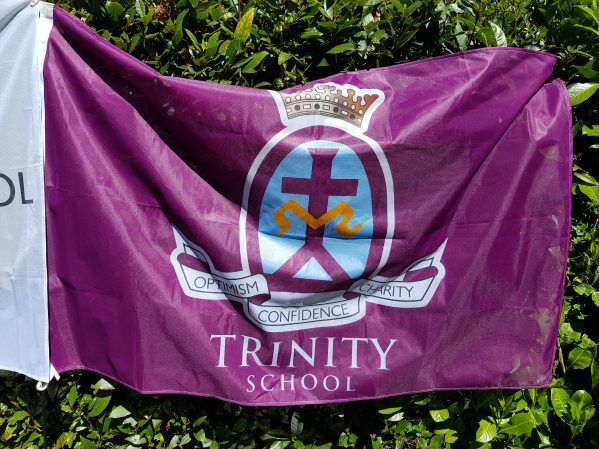 Let me introduce you to the two new Trinity School flags. We have a general one that will be taken to Ten Tors, Devon County Show and any other event where we can proudly announce our presence. 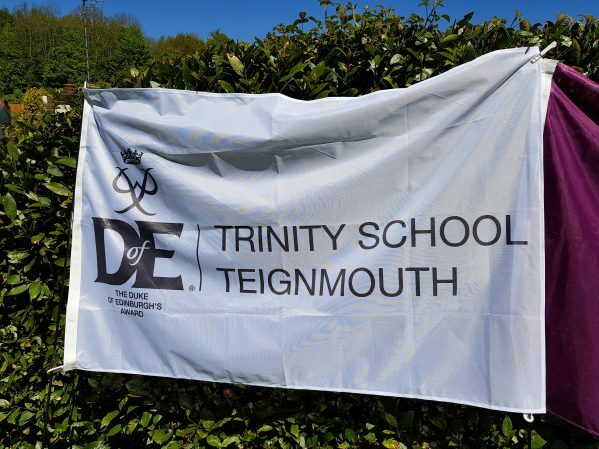 We also have the DofE flag which will, I am sure, be carried to the finish of many future Bronze, Silver and Gold expeditions. 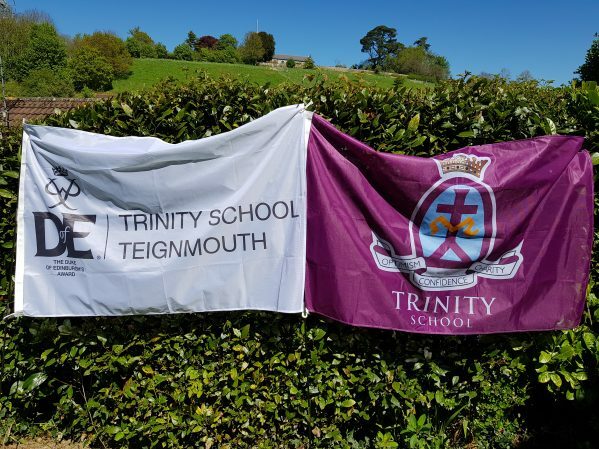 It is always seen as an honour to be the one asked to carry the flag over the finish line, and it is always an emotional sight for staff and families to see the flag appearing over the hill with a successful team in tow! I cannot wait to see these flags many many times this summer.